Wanna use your PSX controller to PS3 game on your ps3 or pc? Now, you get it! 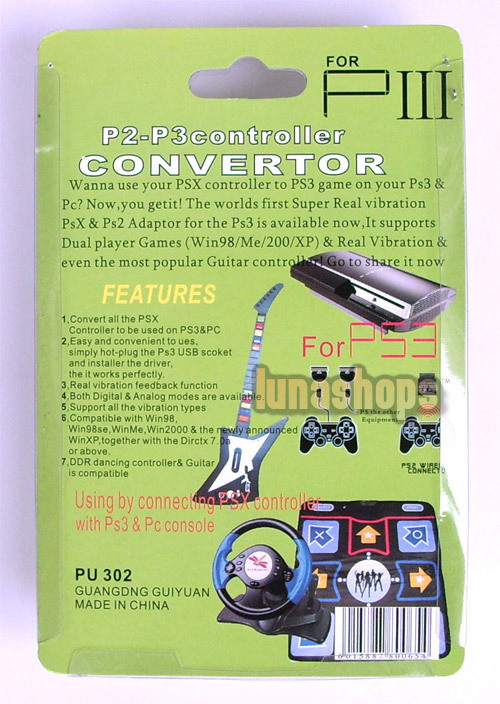 The worlds first super real vibration psx and ps2 adaptor for the ps3 is available now,It supports dual player games(win98/me/2000/xp) and real vibration and even the most popular guitar conroller.Go to share it now. 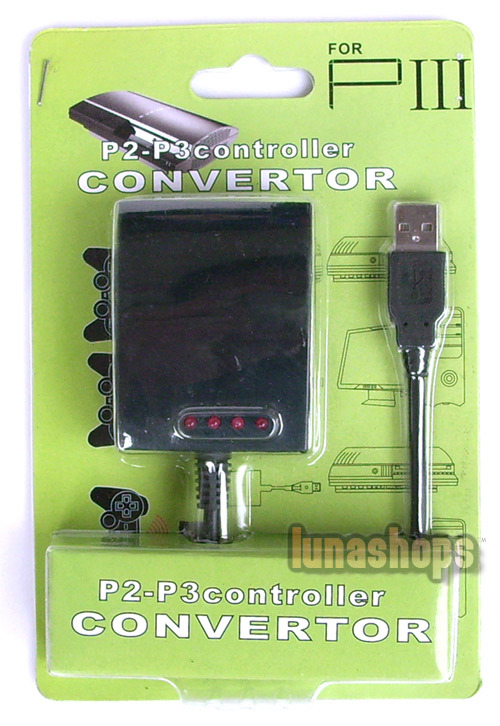 1.Convert all psx controller to be used on PS3 and PC. 2.Easy and convenient to use,simply hot-plug the ps3 usb socket and install the driver. 4.Both digital and analog modes are available. 7.ddr dancing controller and guitar is compatible.